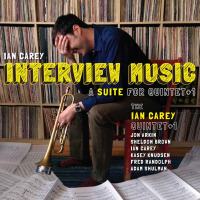 Meet Ian Carey: Ian Carey was born in upstate New York, where he was introduced to jazz by a performance by the great Slam Stewart at his elementary school. 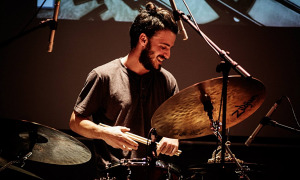 After studying classical trumpet at the University of Nevada, Ian headed to New York City, where he studied with legends like Andrew Cyrille and Reggie Workman. 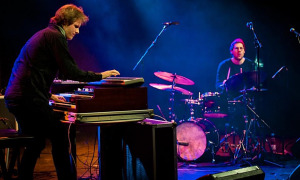 He also performed with Eddie Bert and Ravi Coltrane, and at venues including The Blue Note and Smalls. 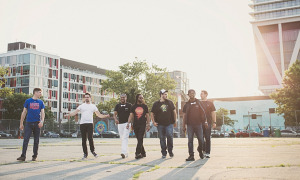 He led a quartet for four years before moving to San Francisco in 2001, where he has appeared with groups including The Contemporary Jazz Orchestra and The Realistic Orchestra. 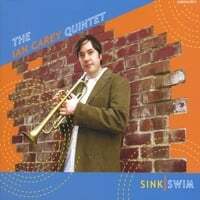 In 2003, he formed the Ian Carey Quintet, and the group has solidified its chemistry in the years since, releasing their first album, Sink/Swim, in 2006. 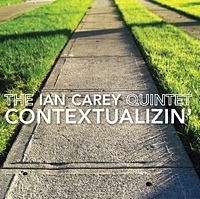 The Quintet's second album, Contextualizin', was released in February 2010, and has received praise from Jazzwax.com ("Ian's reverence for velvet simplicity and heart-touching tones is evident... 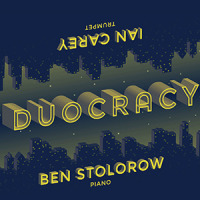 When the music on this album hits your ear, you want to hear more") and Midwest Record ("Certainly a welcoming release, he shows he has everything it takes to go the distance and delight us all the way... this is clearly the real deal"). Teachers and/or influences? I've studied trumpet with jazz players like Charles Tolliver, Cecil Bridgewater, John McNeil, Laurie Frink, and Tom Peron, as well as the classical players Vincent Penzarella and Jay Rizzetto. 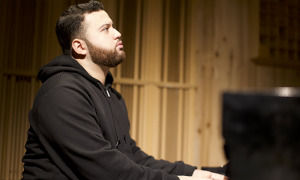 As an improviser, my influences are all over the map, but if I had to pick a handful which had a deeper impact, I'd say the great lyricists like Art Farmer, Jim Hall, and Bill Evans; the giants of creative language like Tom Harrell and Lee Konitz; and individualists like Steve Lacy, Keith Jarrett, and of course Miles. 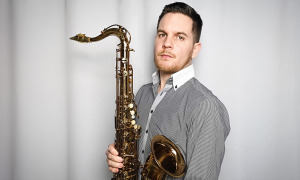 My biggest influences as a composer would include Jimmy Giuffre, Joe Henderson, Wayne Shorter, Ornette, Bob Brookmeyer, Gil Evans, Herbie Nichols, Steve Swallow, and Kenny Wheelerand on the "legit" side I'm big into Bach, Gesualdo, and Stravinsky. However, I think the process of growing up as a musician means becoming a little bit more of your own best teacher every day. I knew I wanted to be a musician when... When I was a kid, I used to sing in choir at church, which was fine but not that excitingbut on the big holidays they'd bring in a brass quintet to play with us. When I heard the sound of the trumpet soaring over everything, ringing in the rafters and scaring the old ladies, I thought, "Now THAT is what I want to do." 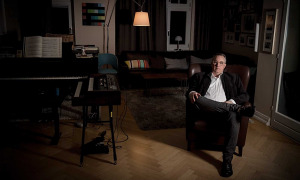 Your sound and approach to music: In high school, I was really into screaming high notes, etc., that really bombastic approach to music. Then I ran into some serious chops roadblocks (embouchure problems) in college which forced me to look for different, less athletic ways of playing and improvising. It turned out to be a good thing, because it led me toward the more personal, story-telling, approach which speaks to me the most. Your dream band: To be honest, my dream band is my current band (but with more gigs). Road story: Your best or worst experience: Once in my twenties I got booked to play an offroad jamboree in the high Sierra mountains. They had to fly us in via helicopter, and when we got there it turned out they'd hired us to play in a ditch by the chow line so the rednecks could have someone to harass while they waited for their chili. On the bright side, we made it out alive. Favorite venue: Here in the Bay Area, I really liked Jazz at Pearl's, but then it closed; I also liked the Octavia Lounge, but then IT closed; and Anna's Jazz Island, but then IT closed... you get the picture. My favorite venue is any place that's still open. Your favorite recording in your discography and why? 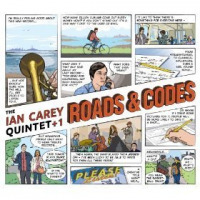 Our new album, Contextualizin', represents a definite statement of my musical life so far, in that it contains original tunes I've worked on for the past ten years, with a group I've played with for 7. I think it communicates my musical outlook to date as well as any one hour of music could. The first Jazz album I bought was: Oh man! Don't remember. I was listening to my dad's Miles & Dave Brubeck records from an early age, but the first CD I bought was Kind of Blue. It's not an exaggeration to say that first listen was an epiphany.